Learn more about a Charleston Bachelorette Party. 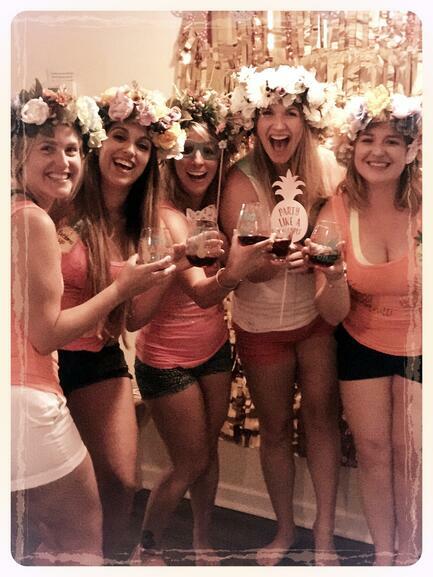 Request more information about a flower crown party for a Charleston bachelorette party here. Planning your bachelorette party in Charleston, SC? Let us help you plan the best Charleston bachelorette party weekend. Coming to Charleston for your bachelorette party? We can help you plan your weekend away by incorporating a flower crown workshop into your weekend plans. Want to add some flowers to your bachelorette party? We can help! Think flower crown parties, flower arranging classes, flower jewelry making parties, etc. We want to help you incorporate flowers and girlyness into your Charleston Bachelorette weekend.